After I learned I had pleural mesothelioma, things happened so fast from the official diagnosis to having surgery. My pleurectomy and decortication was Oct. 3, 2012. It was performed by Dr. David Sugarbaker at Brigham and Women’s Hospital in Boston. I didn’t have time to think about much else, especially the upcoming holiday season. I approached the surgery with two mindsets. I was going to die anyway if I didn’t have the surgery and could die during the procedure. But if I made it through, that was my second chance to live for whatever I wanted. Once I got past the surgery, my whole outlook on life changed. Now every day is a day I didn’t have. It also changed the way I think about holidays. Simply put: I don’t celebrate them anymore. I stopped decorating for Christmas. I don’t buy gifts and ask others not to buy me presents. Thanksgiving is no longer the big production it used to be. My battle with cancer made me realize those are trivial things when it comes to time. The most important thing now is recognizing people and giving up your time — anytime — not just a few days a year during holidays. If I had waited to have the surgery or not had it at all, I may not have seen another Christmas, so I realized every day should be treated like Christmas. It’s not about material things. It’s about celebrating life every day. One of my brothers and his wife would always host Thanksgiving dinner for about 13 to 14 of us. My sister-in-law would do all the cooking and entertaining. We continued this tradition shortly after my surgery. Though I was struggling with pain and side effects from the procedure, I still pitched in to help my sister-in-law clean after dinner. I remember looking around and seeing everyone doing their own thing, with my sister-in-law and me busy cleaning. I knew something had to change. The following year, everyone split off into smaller gatherings with their immediate family. Our holiday traditions started to change with an evolving family dynamic. While I was invited to these gatherings, I decided to have a nice, quiet Thanksgiving that year at home with my dogs. Everything seemed to fall into place, and I began to see our old traditions carry on throughout the year. We don’t need Thanksgiving or Christmas as our once- or twice-a-year opportunity to see each other. Everybody now takes time to come together and touch base with one another at some point around the holidays. We may not come together as one big group. There may not be a large feast or massive gift exchanges. But we accomplish the same things without the hoopla, spending quality time with each other and making memories in smaller, more intimate groups. Through my battle with mesothelioma, I learned that ultimately I have to do what makes me happy. It’s my life, and I need to do things I enjoy. I’ve learned to say no to things I don’t want to do, and for the most part, everyone is fine with it. I used to do Christmas at my house. I stopped after my diagnosis. I didn’t decorate that year because I didn’t feel up to it. I had plenty of invites from other family members — who all had their own places to go and things to do on Christmas Day — but I wanted to do my own thing. However, we all managed to be together at some point during the month of December in smaller groups and truly show appreciation for each other. That’s what it’s all about. That’s what our holidays evolved into. Everyone realized that we don’t need large gatherings on specific days to accomplish the goal of these holidays. What’s important is spending quality time and helping each other on a regular basis throughout the year. Give someone a gift with no occasion and no obligations attached. Offer to help someone without expecting a favor in return. I have a friend whose mom isn’t doing well. When my friend became sick and was in the hospital, I offered to go over and take care of her mom. After recovering at home for several days, my friend was finally feeling up to going out. I offered to come over and watch her mom while she had a date night. I sat there and talked to her mom and took care of her all afternoon. When my friend got back, she handed me a gift card to one of my favorite local restaurants. This was a nice gesture, but I don’t ever expect to get anything in return for the things I do for friends and family. I do these things because it’s the right thing to do and they’re people I care about. One of my brothers likes sugar-free apple pie, so I regularly make him some and invite him over. I always have something sweet ready when my family comes to visit. My door is always open to my loved ones. I’ve found that by changing holiday traditions, we spend more quality time with each other throughout the year, whether it’s having my brother over for dessert or calling up a friend I haven’t seen in a while to go to a local restaurant. You do these things because you want to, and it makes you happy. 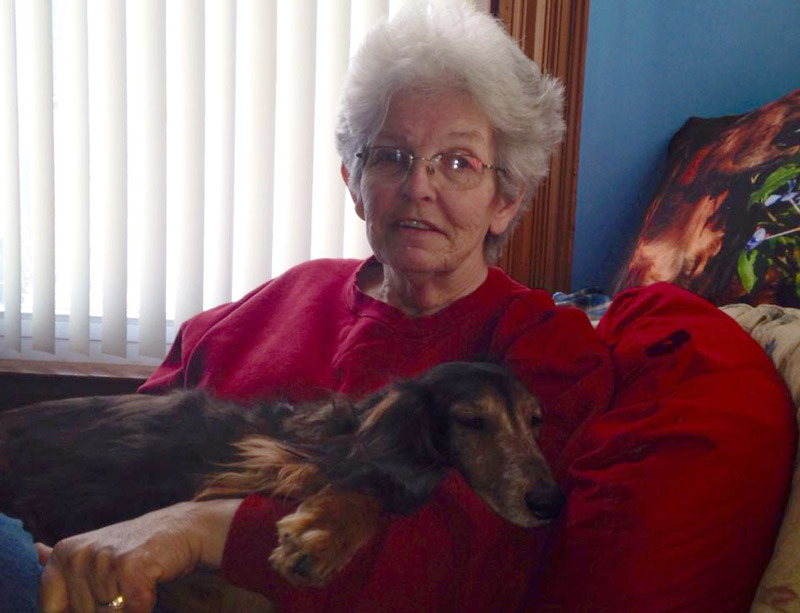 Emily Ward is a retired nurse and pleural mesothelioma survivor. She writes about her experience battling the disease as well as how her outlook on life has changed since her diagnosis.